When wanting a new crisp flavour it can take a good while to decide what you want given there are so many varieties on offer. Now I picked a very sensible flavour, to be disclosed nearer the time, however I was a bit like errrrr why are you buying these when the fathership put Tesco Finest Cocoa & Spiced Rum Crisps in the trolley. Bizarre doesnt quite cover it. These new crisps are part of Tesco Finest Limited Edition range, I am not sure what provoked such quirky crisp flavouring, I suppose it could air on the festive side with the spiced rum but that is quite the stretch. Perhaps they fancied a snazzy out there flavour. A 150g bag cost £1.00 and ‘serves’ 6, I say ‘serves’ loosely because lets face it that really is a lie. The crisps were a mixed bag some were pretty ginormous, some of the biggest I’ve seen, and others were itty bitty. The chocolate coating was plain to see and didn’t make for that much of an appetising looking crisp. I know some of you have thought urgh chocolate crisps hell no, but actually these aren’t half bad. The chocolate is the first and foremost flavour, it was a sweet cocoa which was balanced by the slight saltness from the crunchy potato crisp. I don’t really like spiced rum as a drink and thankfully it was nowhere to be seen here. Even at the bottom where that golden flavour lurks I couldn’t detect any boozy flavouring. I can imagine those who do wish for the spiced rum flavour are going to be disappointed. 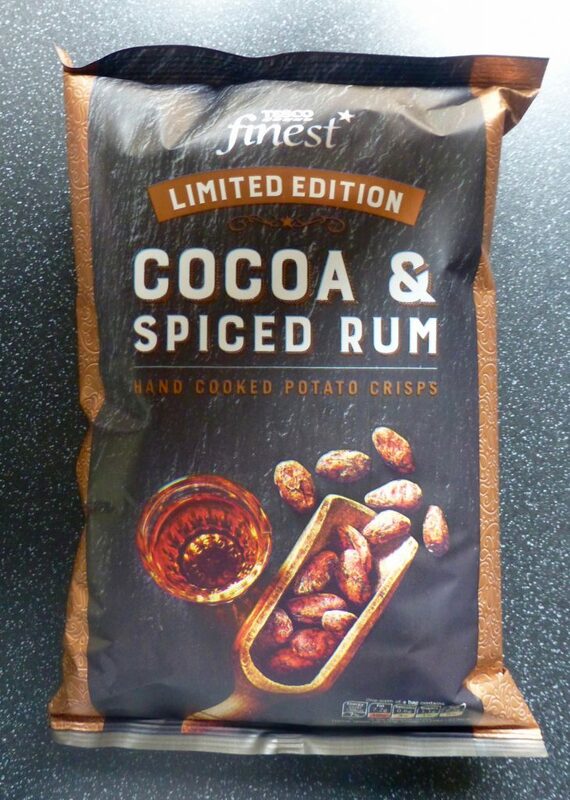 Tesco Finest Cocoa & Spiced Rum Crisps you are rather weird yet oddly nice. As much as I didn’t want to like them I couldn’t help by secretly smile and go back for more, so much so I was even seeking out the more chocolatey ones. If you are looking at it as a whole, it doesn’t hit the spiced rum mark but that doesn’t bother me personally. Don’t dismiss the chocolatey crisps I seriously recommend giving these a go. Despite reading the description clearly labelled, nothing prepares you for the shock of eating a cocoa-bean flavoured crisp. Absolutely brilliant. Desperately need to stock up, but it’s too late. 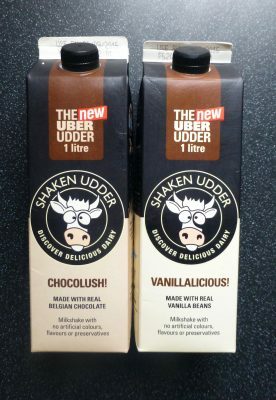 I mocked the limited edition label and they’re now withdrawn from sale. If you could taste a nightmare, this is what it would taste like. I took a bag to work and not one of my many colleagues, who I persuaded to try one, liked them. They are just vile… not just my opinion. 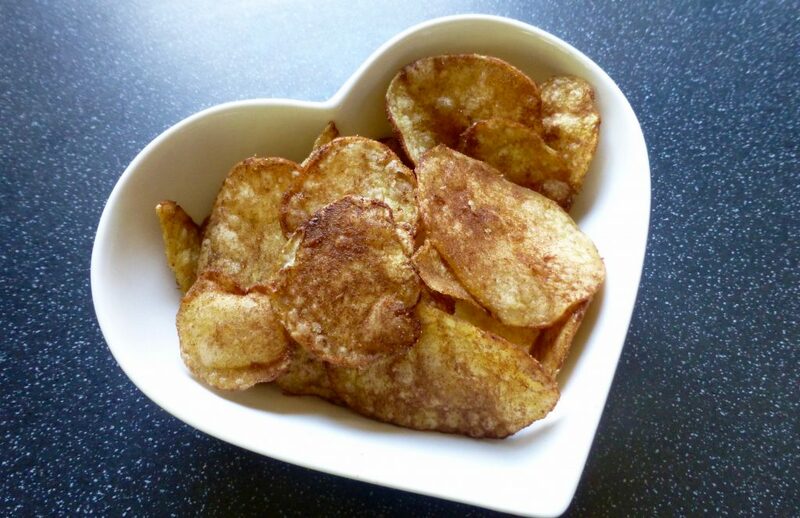 I will balance my review by saying I generally love Tesco Finest crisps……. just this flavour? I am certainly in a minority who really enjoyed them, but I know some who loved them. Tesco still have them so there must be plenty of us otherwise they’d have launched these limited edition ones off the shelf already. These are the most unpleasant crisps I have ever tasted! My husband and I tried them for the quirky value, had one each and could not eat any more. Can’t get the taste out of my mouth! They aren’t everyone’s cup of tea, I do like how Tesco did think out the box for their crisp flavours. DO NOT be tempted to try these, possibly the worst item of food I have had the pleasure of tasting, and my 5 friends I was planning on sharing the bag with agreed. Shame. I know plenty of people who have loved these. Everyone’s taste buds are different.